The vice-president of the Greek government and newly-appointed economy minister Yannis Dragasakis said that in his view the 2019 budget will not include pension cuts that are scheduled to take effect on 1 January, 2019. “The 2019 budget I believe will not include pension cuts, but instead will include measures to relieve vulnerable social classes. The budget will contain positive messages for the country, society, and working people,” Dragasakis said in an interview with Real FM radio. The minister also spoke about the IMF’s insistence that pension cuts should be implemented. “The IMF was, is, and will oppose every measure that constitutes social protection and wage increases. Today, it cannot engage in that kind of blackmail. We have arguments that demonstrate that pension cuts will do harm,” he said. The IMF, however, is not is not disposed to back off from its longstanding position that pension cuts as of 1 January, 2019, are necessary. That message has already been conveyed to the Greek government. The IMF’s Greek mission chief, Peter Dolman, is expected to stress that view when he comes to Athens for the first post-bailout review, in the context of creditors’ enhanced surveillance of the economy. Dragasakis said that the country is in a phase of stabilisation and national opportunity after the completion of its bailout programme, and that the government – unaffected by various election scenarios - is making fiscal plans for the next four and ten years. 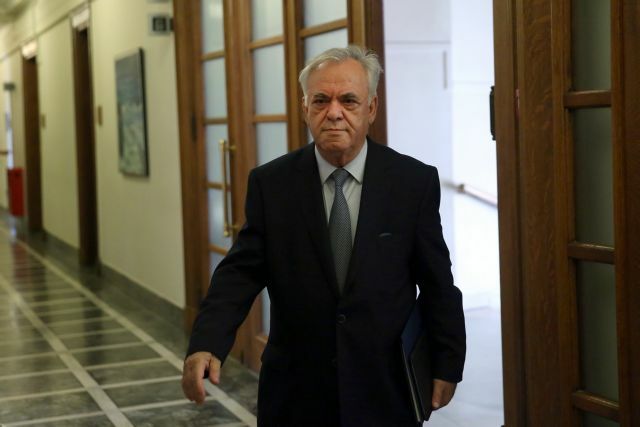 Dragasakis said that the 28 August cabinet reshuffle “showed that the government has the ability to connect with broader (political and social) forces”.